Have you heard about the dangers of blue light, especially in instances of prolonged exposure? It has been a repeated topic of conversation among eye health experts over the past several years. In case you aren’t familiar, blue light is what most of our electronic devices emit, including our smartphones, laptops and tablets. Of course, we love our gadgets, don’t we? Nobody wants to ditch their smartphone! But the dangers of blue light exposure appear to be very real. Sure, our eyes are designed to naturally protect us against some blue light, particularly the lens inside the eye and the pigment in the back of the eye. Today, we are going to look at two possible dangers of blue light — damaged eyesight (especially in children) and sleep loss. We’ll also offer a little advice in terms of how you can curb either of potentially unpleasant outcomes. The American Academy of Pediatrics advises limiting children older than 2 years old to a maximum of two hours a day on media devices. Children younger than 2 years old should have no exposure. Young children — especially those under three — do not have fully developed lenses in their eyes. As a result, the blue light goes straight through. Although the dangers of blue light are more prevalent in children, adults are not totally safe, either. Plenty of research exists to suggest that exposure to blue light can cause retinal damage in adult eyes, and possibly lead to the development of macular degeneration. If you must look at a digital device that emits blue light throughout the day — especially for extended periods of time — take frequent breaks. 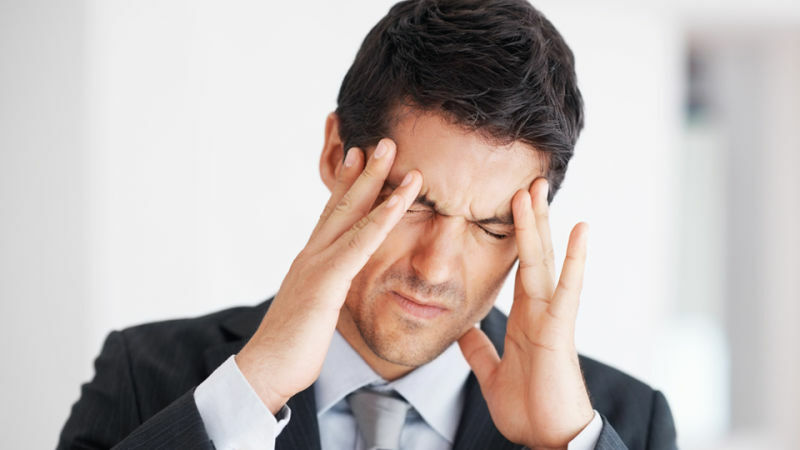 Every 30 minutes, look at an object at least 30 feet away for 30 seconds as this can help to reduce strain on your eyes and prevent headaches. In some cases, blue light has been linked to affecting the levels of the sleep-inducing hormone melatonin. What this means is that too much exposure to your laptop, tablet or smartphone right before bed can adversely impact your sleeping patterns — also known as your circadian rhythm. Changing your body’s circadian rhythm can have profound physical effects, including organ malfunction, mental health issues, weight gain, a weakened immune system, and more. Avoid reaching for your smartphone or tablet at least a couple of hours before bed. It can be difficult to do, but so can losing out on restful sleep. As a repairer and re-seller of electronic devices, Target PC Repair certainly isn’t condemning the use of devices that emit blue light; rather, we are suggesting to be aware of the risks and do what you can to mitigate them. It’s important to underscore that we are not doctors — if you believe your eyes are being strained by your electronic devices, please discontinue use and see a doctor immediately. If you have any questions regarding smartphones, tablets or laptops, please call us. Let’s face it — as consumers, we love our iPhones, don’t we? If anything, we wonder how we ever got along in life without them. Music, movies, games, productivity, scheduling, communication, news updates, and more… the iPhone does just about everything, doesn’t it? But in all likelihood, your iPhone 6 does a lot more than you realize. In this short list, we’re going to examine 13 things you didn’t know your iPhone 6 could do. You can reply to an incoming text through the notification drawer without having to unlock your iPhone 6. You can easily determine which apps are consuming most of your battery power on the Settings screen. Rather than scrolling back through months worth of messages, the Details screen will show you all the photos a person has ever sent to you. If you want to send someone sensitive content — including audio or video — you can set that content to “expire” after a fixed amount of time. Rather than try to explain to your friend where you are, just use the Details panel to instantly send your location. Whether you want to rename a group conversation or leave it altogether, iPhone 6 can do that. You can return to your inbox to refer to other emails by simply minimizing the email you’re currently composing. By changing one simple setting, you can activate Siri by saying “Hey Siri” out loud. This can be a very helpful feature while driving. Don’t want to read through an entire article? Ask Siri to read it to you instead. In your Accessibility settings, you can make left or right head movements trigger particular actions on your iPhone 6. You can set your iPhone 6 to “grayscale” mode to converse battery power. In case of emergency, you can set up your iPhone to link to emergency medical and contact information right from the lock screen! You don’t need to manually open your music app. Just plug in your ear buds and press play. We could go on in this post, but there are a number of articles and guides online that will surprise you with things you didn’t know your iPhone 6 could do. 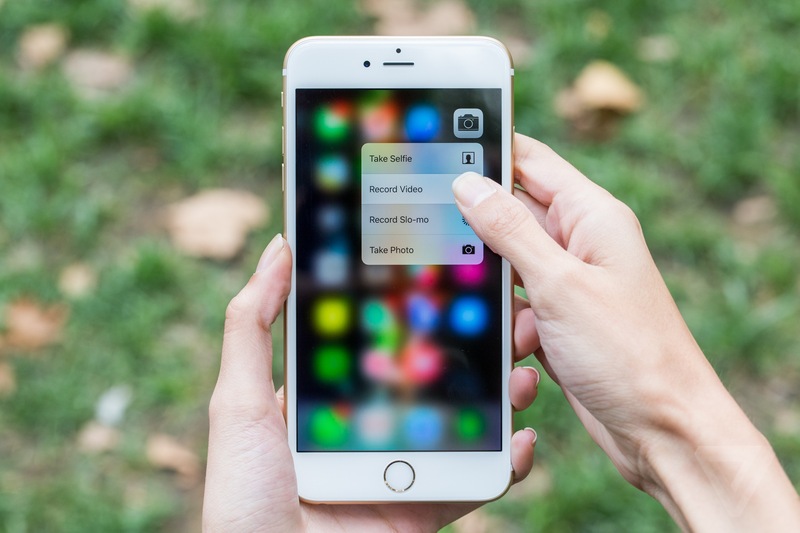 Did you discover some new things your iPhone 6 can do in this post? Did we miss any features that surprised you when you first discovered them? And remember, if your iPhone 6 needs its power plug replaced or screen repaired, we can help. Call 440-725-0642 or contact us today! There are a number of myths about charging cell phone batteries that you’ve probably heard before. But are any of these true? Today, we’re going to debunk 7 myths about charging cell phone batteries. Myths About Charging Cell Phone Batteries – Debunked! A common myth is that cell phone batteries have a memory, and partial charges will eventually diminish the capacity of your battery. This is a myth. Frequently charging your smartphone will not damage the battery. Many people still believe that a third party charger will damage your battery over time. Again, this isn’t true. So long as the charger you are using is in proper working order, your cell phone battery will be fine. The rationale behind this myth is that continuing to charge a fully charged battery will damage it. This, believe it or not, is true. That said, most smartphones are clever enough to realize when the battery is fully charged. At that point, the phone will stop charging the battery, even if it is plugged in all night. So go ahead and let your cell phone stay on the charger all night — it won’t hurt a thing. Think about it this way — even if you aren’t physically touching your phone while it charges, your phone still has processes running in the background, right? So it really doesn’t matter whether you use your phone while it charges or not. Sure, it may not charge as quickly if you’ve got the screen on, but it won’t hurt your battery in any fashion or diminish the quality of the charge itself. This is a crazy myth with no evidence to support it. Generally speaking, smartphone batteries work best between a 40-80% remaining charge. It will not harm your battery in any way if you use your cell phone with less than a 100% charge. While it is true that heat will damage your cell phone battery, smartphones generally operate best at room temperature. Trying to expose your cell phone to cool air — or worse, attempting to freeze the battery — will only hurt your battery life, not extend it. The idea here is that internet connectivity drains your battery faster than anything else. Again, this simply isn’t true. Keeping your screen on — especially when combined with gaming apps — will drain your battery faster than anything else. If you want to extend your battery life, diminish your screen brightness and close gaming apps when you’re finished with them. Did We Miss Any Myths About Charging Cell Phone Batteries? These are seven of the most common myths we’ve heard. Have you heard any others? If so, leave them in the comments below, and we’ll do our best to respond. Remember, if your smartphone is having trouble holding a charge — or charging at all! — we can help. Contact us today for a quote. I Spilled Water on My Phone – What Now? 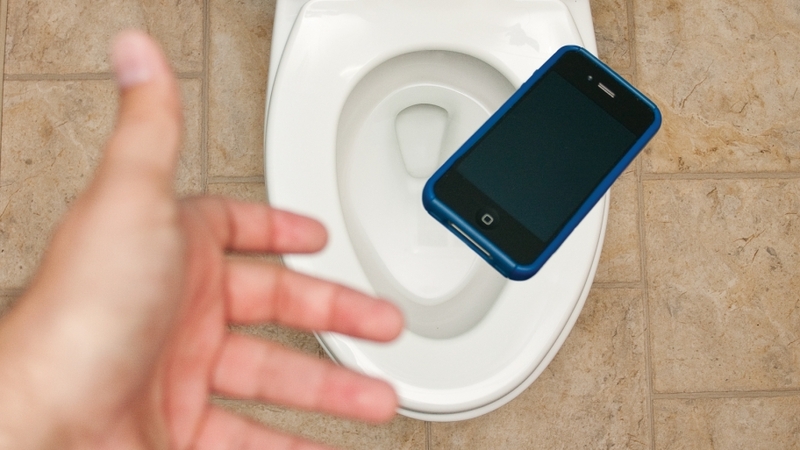 Did you know that — statistically speaking — more smartphones are dropped in a toilet on New Year’s Eve compared to any other day of the year? Actually, that statistic isn’t true. We literally just made it up right now. Help! I spilled water on my phone! If your phone ever does end up exposed to moisture or water, your best bet is to contact us right away. Although water damage is a tricky thing, we perform a number of different types of smartphone repairs, including iPhones. I Spilled Water on My Phone and It’s Midnight – What Now? (1) Don’t panic. 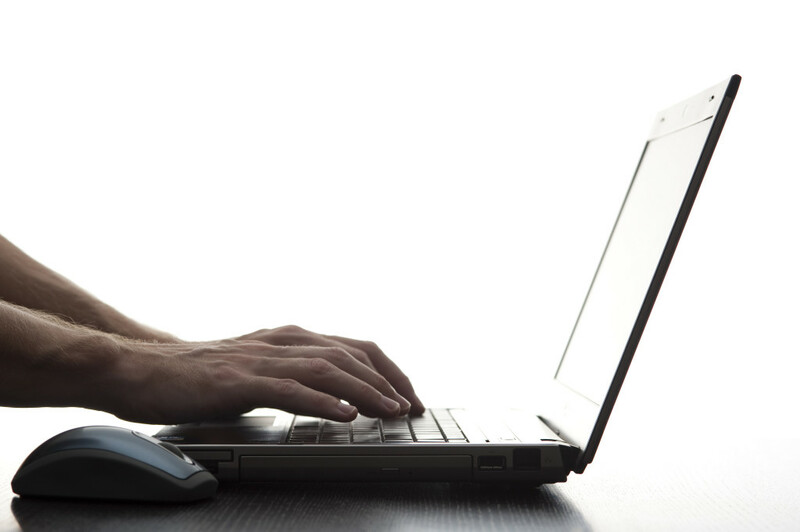 Shut your device off immediately, even if that means losing unsaved work. (2) Remove the battery if possible. In fact, dismantle as much of your device as you’re able to. This will speed up the drying process and help you to see what exactly got wet. (3) Contrary to popular belief, don’t immediately reach for a hairdryer. Forcing air into tiny spaces just means you’ll be pushing water further into areas you can’t see or reach. Worse yet, the heat could melt some parts. (4) Blot dry any moisture you can visibly see. Ensure no residue is left behind. If you need a cleaning solution to remove any sticky fluids, use something like 99% rubbing alcohol or DIELECTRIC spray. Be patient, go slowly, and use a fresh, clean toothbrush to clean out small spaces. (5) Pack your phone with something absorbent, such as silica packs, rice or pasta. If possible, place your phone near a dehumidifier. (6) Leave your device off for 48 to 72 hours, until you’re absolutely certain that everything is dry. If you power it back on too quickly while it’s still wet, the damage might be irreversible. In a perfect world, electronic devices would be waterproof. Unfortunately, they are not — so take every precaution to avoid getting your smartphone wet in the first place. We hear stories all the time of people who got their phone wet, dried the surface off with a towel, then carried on using it. It worked as normal for a day or two, then slowly began to lose functionality. In most cases, this is due to corrosion. Sweet or sticky fluids made contact with the inner parts, and before long, they began to corrode important pieces. So, please — if you’re one of the unfortunate few who ends up saying, “I spilled water on my phone!” Don’t treat cleanup as a rush job. Take your time. Be thorough. And you just might have a shot at saving your phone from a certain and painful death. Which Is the Fastest Browser for Windows? Internet users have more options today than ever when choosing a browser. Although there is some debate around which is the fastest browser for Windows, each choice offers its own unique features and benefits. Although Firefox has historically had issues with respect to speed and memory use, it is often regarded as one of the fastest — if not the fastest — choice among browsers. Further, it is also easy to use and intuitive. In a straight speed test, Chrome outperforms Firefox — especially when it comes to loading web content programmed in HTML5. The downside, however, is that Chrome uses significantly more system memory. If you have a slower or older system, this might disqualify Chrome from ranking among the fastest internet browsers for Windows. If you do indeed have a slower system, or a slower internet connection, Opera might be a good choice. It compresses web data, which ultimately speeds up loading times. Opera also generally uses less system memory than Chrome by comparison. At the same time, compressing web data can also lead to an unreliable experience. The interface is also far less intuitive than Firefox. Newer versions of Windows do not support Safari. That said, Safari uses the least memory of any major browser — which makes it a good choice for those users with a slower and older system. At the same time, it is by far the slowest of the five major browsers we are reviewing. For those of you with an older system who may still be using Internet Explorer, you will be pleased to know that this browser is very fast. Its downside, however, is that it loads HTML5 content very slowly, which is the way of the future online. It can also be a beast when it comes to memory and energy usage. So which is the fastest browser for Windows? Unfortunately, there isn’t a direct answer to this question. A lot of it depends on the speed, age and configuration of your system — as well as what you tend to view online. If you have a fairly new and powerful system, Chrome would be an excellent choice. If your system is a bit older or slower, you might benefit from using Firefox or Opera. Try each option, and then decide which works best for you. Most importantly, if you find that your browsing experience is consistently slow, contact us at Target PC Repair to discuss options to upgrade your system performance. We would be happy to discuss the challenges you are having a recommend possible solutions. Call (440) 725-0642 today! Should I Use a Firewall to Protect My PC? It’s amazing how little people know about firewalls – only 4% of Americans say they understand firewalls completely. Most people don’t understand them at all. Hopefully, this article can help to shed some light! When asking yourself the question, “Should I Use a Firewall?” Our answer is pretty simple. It’s “Yes.” But to truly understand why a firewall is a necessary defensive measure on your laptop or desktop computer, here are some considerations. To understand why you should be using a firewall, it’s necessary to understand what your computer is without one. Think of it like this – your computer has an “open door” policy without any form of protection. Essentially, it’s wide open for hackers to access any sensitive information on your computer. If you keep any records of credit cards, bank account information or passwords on your computer, it may be accessible. This connection happens when your computer accesses the Internet. You may be slightly safer on your home network – but is that the only place you use your computer? Most people use laptops on unsecured networks in a coffee shop, airport, or on other public wifi sources. A good firewall will not only protect you from these possibilities, but will also scan your computer for any vulnerabilities, and instruct you for files or programs that make it easier for hackers to gain access to your precious personal information. Firewalls work as a shield between your computer and the Internet. Essentially, they monitor the constant exchange of information between your computer and the web. Firewalls filter content to see if it fits certain standards deemed to be safe or not, then allow or disallow information to be sent, often with a warning if a security threat is found. A good firewall program will keep an up-to-date list of security threats, as they’re constantly evolving. Basic firewalls come standard on Windows operating systems, but firewalls with additional security featured can be purchased and used instead of these basic programs. It’s recommended that you opt for this extra security. In addition to a firewall, you should be using an antivirus program. 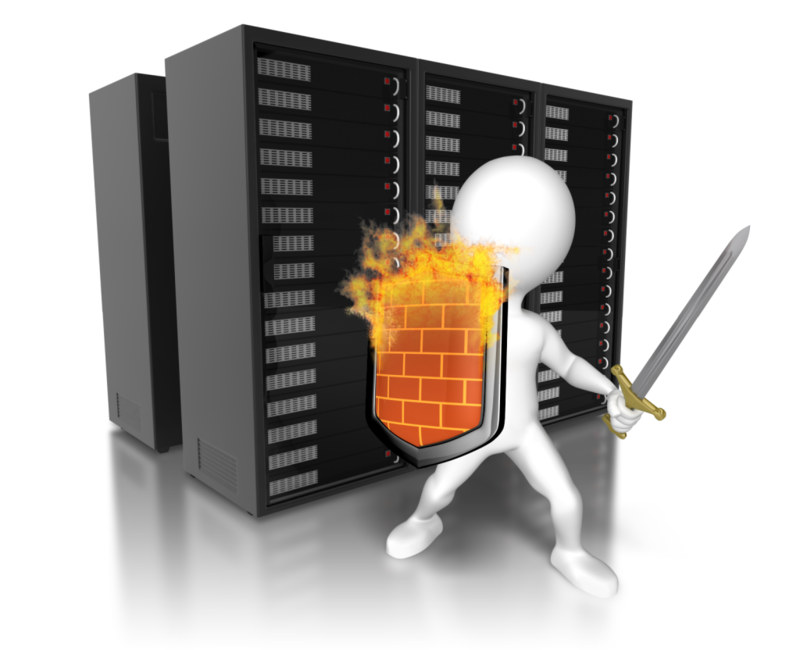 Although a firewall can detect malicious threats, it cannot remove them. That’s where antivirus programs come in. Together, these two tools form the perfect pair for a safe computer, and protects your information from outsiders. If your desktop computer or laptop already has viruses, Target PC has virus removal services that can turn this problem around. Are you still wondering, “Should I use a firewall to protect my PC?” Do you need more guidance as to how to implement a firewall for protection on your PC? Get in touch with us online or call us at (440) 725-0642 for more information! Does your computer have a firewall? What are your best practices? Share in the comments! 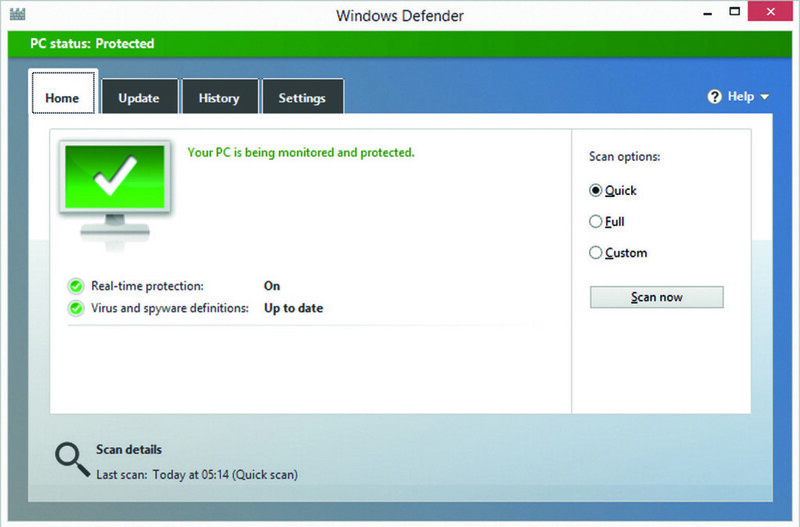 Windows Defender is a antivirus software product that strives to detect and remove malware. At first, it was released as an antispyware program as a free download for Windows XP. It shipped with Windows Vista and now comes standard with Windows 10 with antivirus capabilities. Windows Defender is an application that once installed, runs in the background and lets you know when you need to take specific actions. One of the best features of Windows Defender, however, is the ability to use it anytime to scan for malware. Most people use this feature if their computer isn’t working correctly, of if they suspect a link online or on an email. Windows Defender replaced Windows Security Essentials and is truly a great antivirus tool for a PC to have, but it’s only as good as you make it. The main reasons for frequent Windows Defender updates is that the program is essentially useless without them! Whenever you update Windows Defender, definitions of known spyware and other potentially harmful software get updated on your computer. As you should well known, spyware is continuously changing shape and being updated. Your computer must also be constantly updated so that it can recognize security threats. A failure to update any type of antivirus software on a regular basis is unnecessarily exposing your computer to virus problems. Browser integration: Windows Defender works seamlessly with Internet Explorer. Microsoft Edge makes it so files can be scanned as they’re being downloaded to prevent malicious software being installed on your computer. Unfortunately at this time, it doesn’t integrate with other web browsers, but can still scan downloaded fills for malware. As with most antivirus protection programs, you can make it easy to install updates. Update your settings to download updates in the background or to remind you at a certain time each day to focus on downloading updates. To get the most out of Windows Defender, don’t use it in addition to another antivirus program. In fact, Microsoft warns that if you want to use a different antivirus software from another provider, you should uninstall this program. If it’s already too late and your computer has viruses, we can help. We offer both laptop and desktop virus removal solutions. If you’re looking to prevent additional problems that could be caused by security threats, check out our previous article about the top 5 most common ways to get viruses on your PC. At the end of the day, antivirus software will help extend the life of your computer much longer than without! Get in touch by calling (440)725-0642 or fill out our online contact form and we can help make sense of what’s going on with your computer right now, and how to protect it from further harm. A laptop on it’s own is not enough to successfully do all the things you probably want to do. We’ve put together a list of the accessories every laptop should have, and why! Having a charger is the biggest no brainer for a laptop, right? How can you use your laptop for extended periods of time without an adequate power supply. Some laptop chargers are convertible so that you can have a long or short cord depending on if you’re at your house (and close to an outlet) or out in public and need additional length to reach a place to plug it into a wall. Some chargers even have cases of their own to protect them! Be careful when plugging your laptop into the charger. Too much force can cause problems that damage the plug. In the event of damage, Target PC offers laptop plug repair. Not everybody uses a keyboard cover, but everybody really should. Think about all the times you’ve eating something messy while looking something up online? Or you’re at a coffee shop getting work done and crumbs from your cookie drop into the spaces between your keys? There’s an easy way to prevent this unnecessary laptop damage, and it includes keeping your keys adequately covered from inevitable messes by you or others who may use your computer! Another item to consider is a screen protector, though these are not as widely used. In the event that your laptop screen is beyond repair, Target PC can help fix it! Hopefully you’re more careful with your laptop than your phone. You can drop your phone a bunch of times without any serious damage, but the same can not be said about your laptop. One hard drop can absolutely ruin your laptop for future use or resale value. Even a small bump can do damage, which is why these cases are included as accessories every laptop should have. To stack the odds in your favor, invest in a hard cover case that snaps on your laptop and gives it additional protection. When transporting a laptop, you should provide as much care as possible. That’s why having a bag specifically to be used for your laptop comes highly recommended. Women may seek a different solution along these lines, as most already carry bags of some type. Our suggestion for them is next. If you’re a woman, you’re probably already carrying a purse with you everywhere you go. In your case, it may not make sense to have a separate laptop bag. Instead, invest in a good laptop sleeve to protect your laptop from the inner contents of your purse. Laptop sleeves are fun to customize according to your individual likes and tastes. Although laptops have some kind of built-in mouse or track pad, it’s usually beneficial to have another mouse that’s easier to physically move around. Even better is a wireless mouse. Wireless mice are less bulky and less likely to get tangled up with other laptop accessories. Plus, they send a message that you’re not stuck in the past as technologies are rapidly changing. To learn more about laptop accessories or for any number of laptop repairs, send us a message online or call (440) 725-0642. Now that you’ve seen the accessories every laptop should have, do you need to add some to your shopping list? Or are there any we missed? Share your thoughts in the comments! VGA vs DVI vs HDMI Resolution – Which Is Best? Are you confused by all the different display ports and options on monitors, TVs and projectors? It can be confusing when comparing VGA vs DVI vs HDMI resolution, but it doesn’t have to be! Here’s a port by port breakdown explaining each type of resolution and a recommended application of use for each! The main reason why HDMI connections are considered to be the best is because they incorporate both display and audio through the same cable. It’s a familiar format that most people understand, which makes it popular among customers. In recent years, HDMI standards have been upgraded. But don’t go out and buy new cables – you don’t need them! The HDMI standards upgrade is a part of the hardware itself and cables used with lower standards equipment will still work perfectly. To summarize, HDMI is great for general use, but other cables can be good for other specific situations. Do you have a TV with damaged connection ports? Contact us to get in touch and get it fixed! Technically, the digital video signal passed through the cable is the same as HDMI. 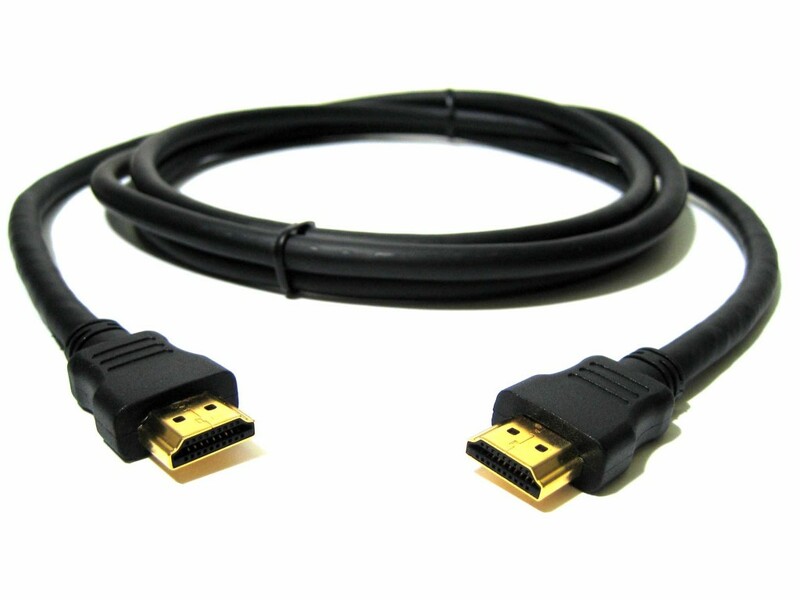 The main difference between the two connection types is that DVI doesn’t support an audio signal and requires using a different cable in addition to the visual cable. This helps to explain why it’s not something you would find on Bluray players or new HD TVs. You can, however, find it on projectors. At this point in time, HDMI has basically replaced it, though it is good for computer monitors that lack speakers. There are two types of connectors: dual-link and single-link. Dual-link connectors double the power of transmission with higher speed and signal quality. VGA stands for “Video Graphics Array,” which is an analog, video only connection. You will rarely find this connection type on TVs, but can sometimes find it on projectors or old PCs. The big tech companies (like Samsung) banded together to agree to drop support for VGA back in 2010. As such, there’s really no good use for this display type unless your PC or projector older and doesn’t support DVI or HDMI. Do you still have questions about VGA vs DVI vs HDMI resolution or want to know what’s the best one to use for your specific purposes? Contact us online or call us at (440)725-0642 for more information! Taking a look at your electronics, what are the most common connection types you can find? Share in the comments and see where you stack up amongst our other customers! Since we recently started offering a TV repair service, we’ve heard one question over and over again… what’s the difference between LCD, LED and Plasma TVs? If you’re a gamer, than you want to ensure that every part of your gaming experience is enjoyable. From a comfy chair, to snacks at the ready, and a headset equipped with a microphone (to scream insults at your opponents! ), every detail makes a difference. So it makes sense that you’ll want to make sure that your perfect gaming experience is not ruined by a TV or monitor that doesn’t fit your standards. Let’s take a look at LCD vs LED vs Plasma for Gaming. The only difference between LCD and LED TVs is that LED TVs are just LCD TVs that use an LED backlight instead of a fluorescent one. LED-LCD TVs tend to have better contrast and more accurate colors than fluorescent-backlit TV models. Since LED TVs use an LED backlight instead of fluorescent lighting, and are the most energy efficient and consume the least amount of power. Gamers tend to prefer LED backlighting because the lighting is much more even and consistent across the screen. In terms of definition, 1080p is a good standard for high definition. Plasma has the best quality display when considered against LED and LCD TVs, and tend to outperform LED and LCD TVs in many tests. The main difference for Plasma TVs is that Plasma TVs have deeper black levels, which make for better contrast. They also don’t have motion blur and limited viewing angles typically associated with LCD TVs. Response time, also known as “lag,” is important to gamers, and can mean the difference between living and dying (in the game at least!). Gamers measure this delay in milliseconds, for online games and Twitch, which require very timely collaboration for an enjoyable gameplay experience. Check out CNET’s guide to the Best Low Lag HDTVs for Serious Gamers to get an idea of what TV models are appropriate for gamers. In terms of pricing, Plasma is the newest technology, and is therefore the most expensive. From there, LED is cheaper than LCD. You can get a basic understanding of pricing between models considered to be the best for gaming from Tech Radar. What TV or monitor you decide to use for gaming will ultimately depend on how much you enjoy gaming, and the associated cost of the models you’re considering. For the best experience, with money not an issue, choose a Plasma model. 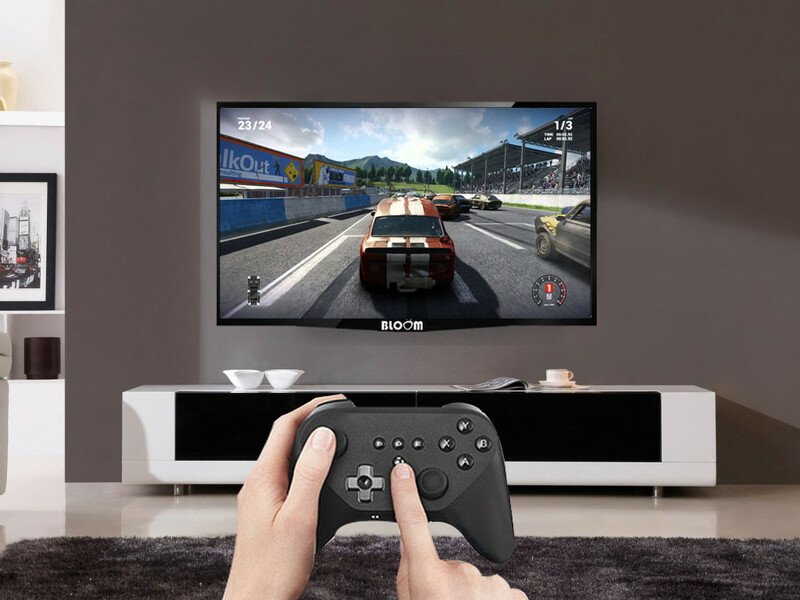 On a lower budget, you’d still have a great gaming experience using and LED TV… not to mention, the cost savings add up with it’s energy efficiency on your monthly electric bill. So what will you choose between LCD vs LED vs Plasma for gaming? And if you have a TV that you use for gaming and need it repaired, contact us online or by calling (440) 725-0642!